Best Film in the National Class selection – IBIS statuette for best film in the National Class competition programme is awarded to Vuk Ršumović’s film No One’s Child. The jury gives this award to the film that is complete on all cinematic levels. What the jury wants to recognize are the achievements of the whole filming crew - from the directing to storytelling to the complete and realistic production design. The movie we are giving the award to takes us on a journey of initiation to the civilization that fails because of the animal condition of human beings. For natural, convincing, charismatic, and touching performance in Panama, the jury presents special recognition to young actress Jovana Stojiljković, and special recognition to Željko Marković for his role in Barbarians, and Denis Murić for his role in No One’s Child. Innovation award for the National Class competition programme goes to Ivan Ikić for Barbarians. YOUTH JURY, which includes Ana Marija Radosavljević, Bojana Kliska, Divna Stojanov, Ivana Čavić, Rada Šolak, Savina Smederevac and Teodora Slijepčević, “took particular notice of the film that depicts the hopelessness and sheer existence of the young, who themselves haven’t got the strength to change the society”. Cineuropa Prize to Károly Ujj Mészáros’ Liza, the Fox-Fairy. Hungarian director Károly Ujj Mészáros’ feature debut Liza, the Fox-Fairy has been awarded Best Film of the Fresh Danube Films section – for this entertaining and really creative Hungarian fairy-tale set in the 1970’s, blending genres (fantastic, burlesque and romantic comedy), with a great set design. The Special Mention of the Fresh Danube Films selection has been awarded to Croatian documentary Naked Island by first-time director Tiha K. Gudac. Her familial and historical research into the political prisoners in Yugoslavia’s gulag on the ‘Naked Island’ in the early 1950’s make out a very personal and touching, but also an informative, politically significant and universal, story. 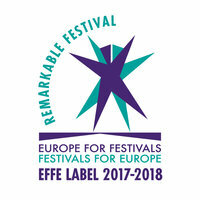 Naked Island was also awarded by the audience of this year’s festival. Best Film Award – IBIS statuette for best film in the Up To 10,000 Bucks competition programme goes to Szabolcs Tolnai’s Flowers of Evil. Through powerful imagination, Szabolcs Tolnai created a film of distinctive style that made it stand out in this year’s selection. Putting his story in the confines of a silent film and using intertitles to send clear political messages, Tolnai created a visually lush piece that uses the filthy reality of society as a superb set design. Special recognitions from this competition selection go to Jelena Novaković’s Ana Square, Leeron Revah’s No Free Lunch, and Milutin Petrović’s The Loop.